The new Teespring Launcher makes it easy to upload and preview your designs on tons of different products. This month we’ve released new updates to enhance the accuracy and quality of our prints. Check out our top tips to below for optimizing your design’s print quality as you create new products with Teespring. We always recommend uploading high-quality PNG files to the launcher. Always make sure your designs have a transparent background too—you can find free tutorials showing you how in GIMP, Photoshop, etc. online. Please note the launcher does not accept EPS files and file size limit for the launcher is 50 MB. Although artwork dimensions are important, it’s image resolution you really want to pay attention to. 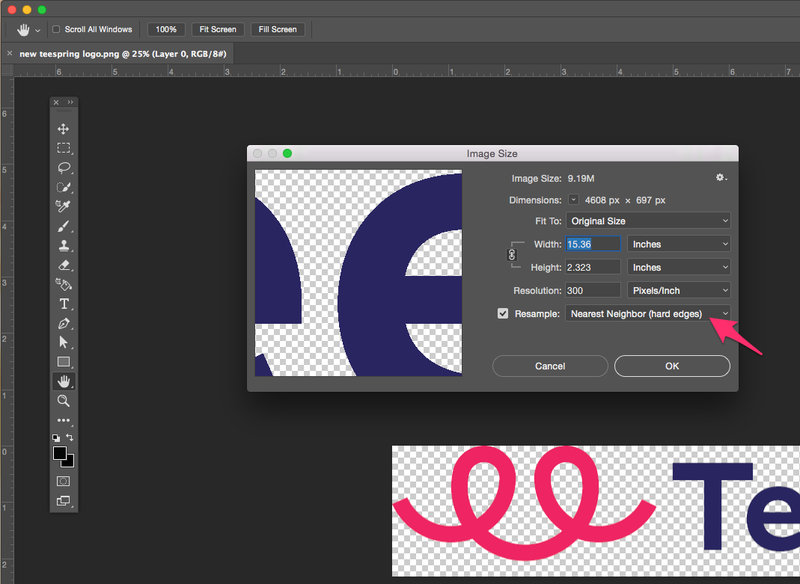 We recommend creating designs with 300 DPI (dots per inch) whenever possible. The higher the DPI the higher resolution or quality of your image. The minimum DPI the launcher will accept is 120. If your image resolution is too low we’ll let you know before you can proceed to the next step of creating your listing. We recommend creating designs with the 300 DPI possible (dots per inch). The minimum DPI the launcher will accept is 120. If your design features text you’ll want to make sure it’s legible once printed. For this reason we recommend using fonts that are 10 pts or larger. The color system you should use depends on your design goal. Teespring’s printers use an RGB workflow so if bright/saturated colors is your goal, then use RGB. Just note that printers do have a limited color gamut and it is not possible to reproduce every single color—for example we don’t recommend using overly bright colors like neons. If color accuracy is your main priority, then the CMYK color space is recommended. If you want to ensure a cleaner, crisper print around the edges of your design you should export your design files with anti-aliasing turned off. 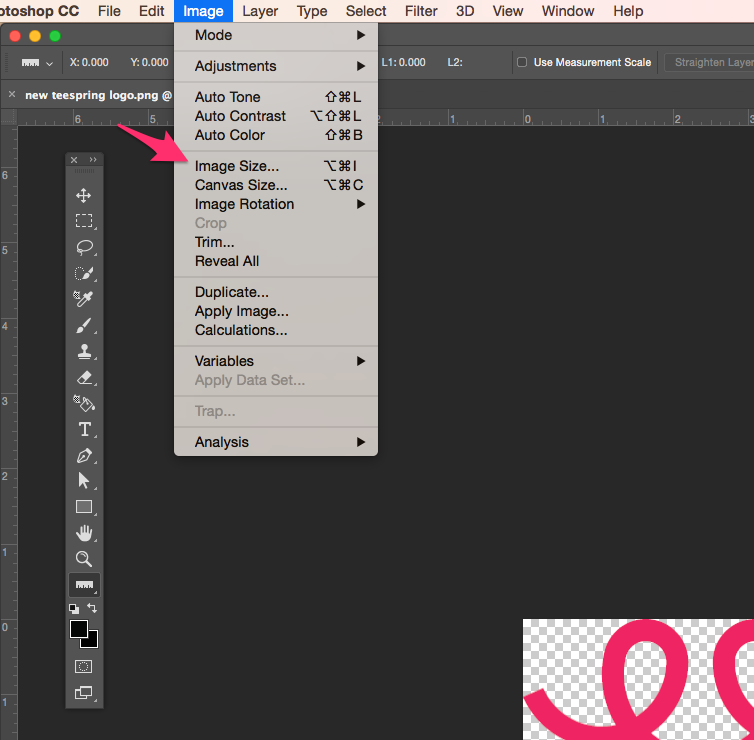 In Illustrator, when exporting a png, the last dialog box contains the option for turning anti-aliasing on or off. Make sure to select “none” before exporting. In Photoshop there is no option for turning anti-aliasing on or off in because the images are already rasterized. Instead, make sure the setting called “Nearest Neighbor (hard edges)” is selected as the resampling method in the image size settings. Photographs & art: If you plan to sell your own photographs or art (learn more) it’s best to upload high-resolution images that are close to the print specifications – e.g., if printing at 11″ x 8″ tall, an 11″ x 8″ image at 300 DPI is best. Any scaling-up of lower resolution images can lead to reduced print quality. 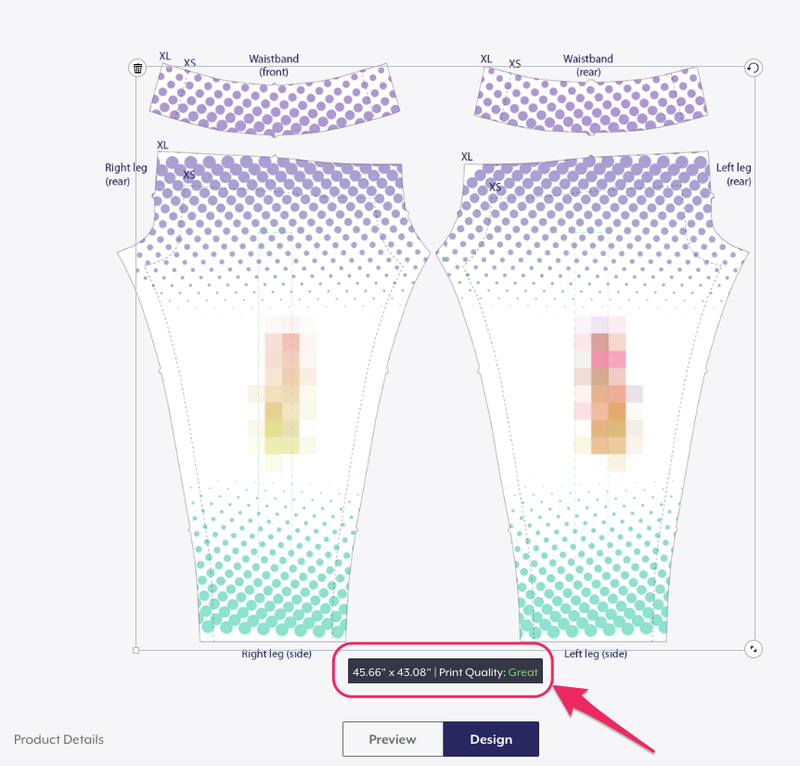 Leggings: If you’re creating designs to sell on leggings keep in mind we offer a leggings design template and instructional video if you need extra assistance. Front/Back: if you add a design on the front and back of apparel this will increase the item’s base cost—to minimize base cost and maximize profit you may want to keep your design on one side of the products only. Design templates: If you’ve unlocked Teespring’s newest all-over print products you can access design templates here and video tutorials here. Teespring uses DPI to determine if your design’s print quality is poor, good, or great. DPI stands for dots per inch and refers to the physical dot density of an image when it is reproduced as a real physical entity (e.g. on a shirt). Monitors do not have dots but do have pixels so a closely related concept is PPI or pixels per inch. In order to ensure a high-quality print, Teespring requires your design to meet a minimum DPI threshold (150 DPI). 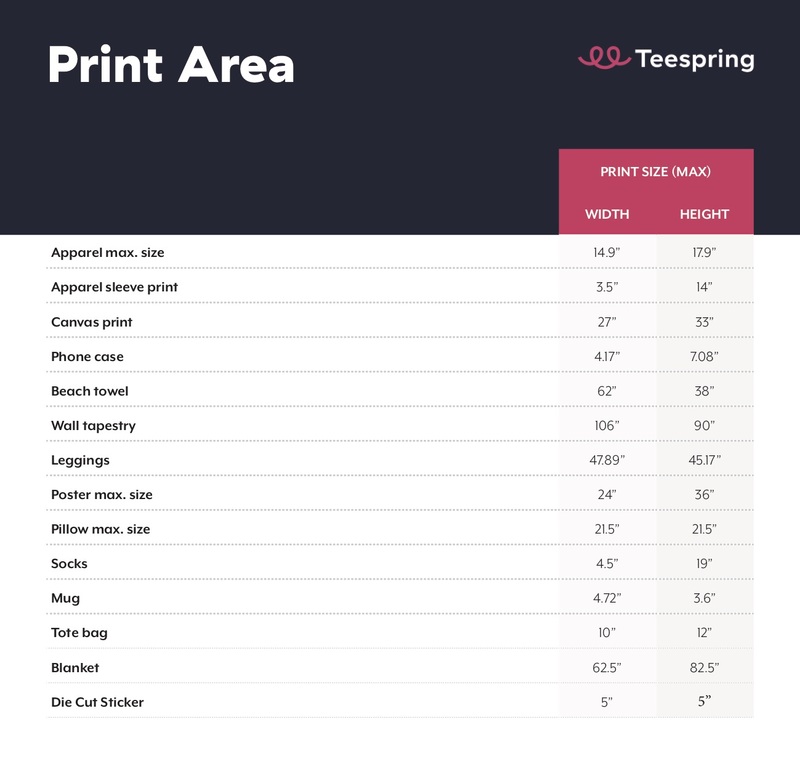 As you adjust your image in Step 1 of the Teespring Launcher, you’ll see visual cues indicating your design’s print quality as either poor, good, or great. What can I do if my print quality is showing as “Poor” in the launcher? 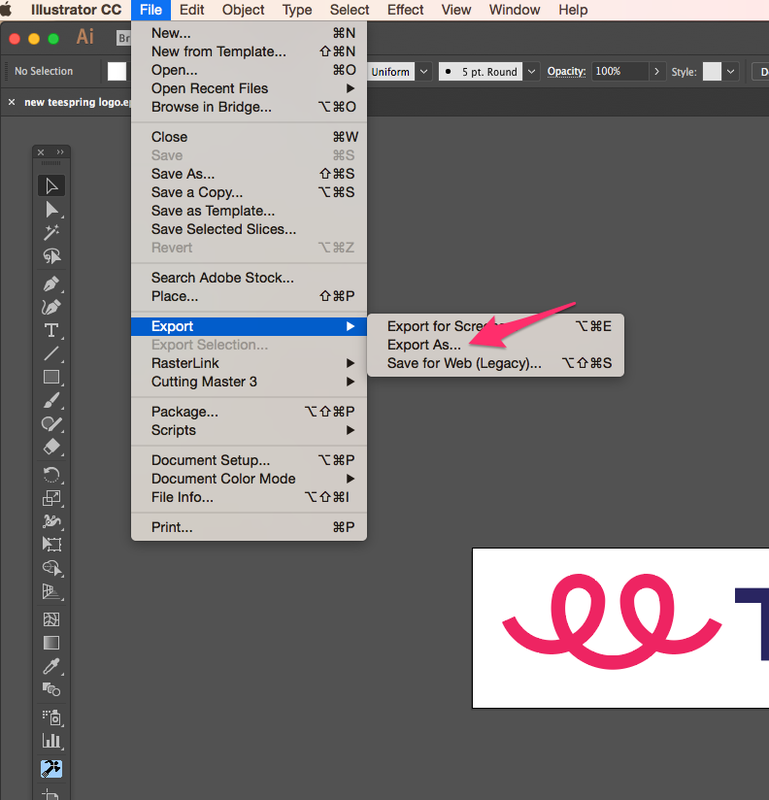 Within your design software, resize the design to match the artboard size of 11.7″x17.9″ (3570 x 5370px) and export/save it as a PNG. 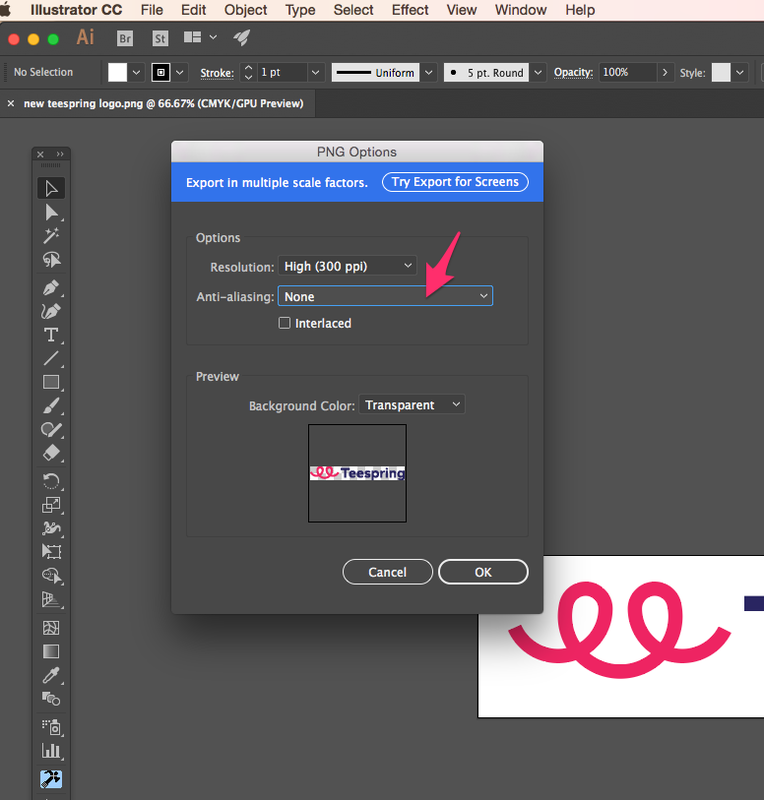 In photoshop, use ‘change image size’ option to get your design to at least 3570 x 5370px and then export/save it as a PNG. Keep in mind you may have to resize the design once it’s uploaded to the Teespring Launcher; sometimes by adjusting the design to a slightly smaller size you can raise the DPI (quality).